Thanks goes to The Broke and the Bookish for hosting this fab feature every week! It is that time of the year in which the Best of 2012 start appearing. I usually hold off as long as possible before compiling such lists as I'm always nervous about it, thinking that the next book I pick up will be incredible and it would be a shame not to include that book on this list... but I'll just have to take my chances. 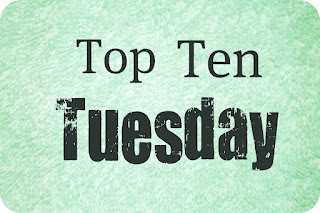 A lot of the books that appear on this list, I've talked quite a bit about over the past year. 2012 has been an incredible reading year for me and I'm very lucky that I've read so many amazing books that had such an emotional impact on me. If I had to pick two of my favourite characters that I read about this year, I'm sure that both Carly and Ryan from Raw Blue would make the list. I love that this book is about both of these two people coming to terms with their past and all of the issues that that entails. I picked up this book thinking that it would be a light, summery romance book, and I was completely surprised by how much this book is not any of those things. It does feel more mature than most YA books I read, but I really liked that about this book. I loved the focus on Carly getting right with herself and how that is far more important and necessary for her own personal happiness as well as with her relationship with Ryan. I have so much love for this book. The Fault in Our Stars is just one of those books. Everyone seemed to read it as soon as it came out and then everyone also reviewed it. And it's such a beautiful and sad and hopeful book that I didn't feel like I could add anything to the conversation after I'd read it. I think about the book sometimes though, months after having read it and it still makes me a little sad. I keep seeing really great quotes on Twitter, of Augustus telling Hazel that he loves her and it all just makes me well up all over again. I read The Fault in Our Stars in three hours the day it was released and I remember sobbing loudly and messily in bed when I'd finished. My husband came in the bedroom, got me a box of tissues and sat next to me. There didn't seem to be any words needed. I read a fair few books by British authors this year and most were amazing. But when I sat down to think of my absolute favourite book of the bunch, it was fairly easy for me to crown a clear winner. 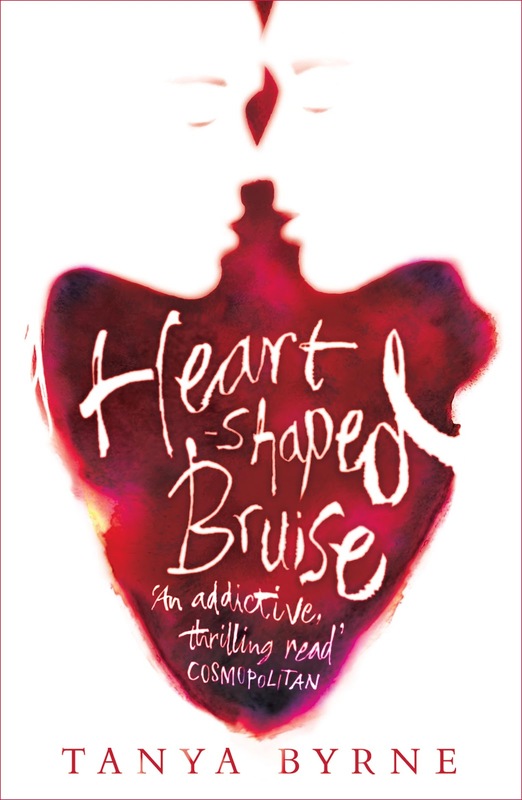 It has to be Heart-Shaped Bruise by Tanya Byrne. I remember picking up this book in a mildly curious way at the beginning of the year only intending to read a few paragraphs to see how I'd get on with the book and I found myself absolutely hooked by Emily's voice and by her story. I found Heart-Shaped Bruise to be an incredible book. I loved how much emotion comes through the story, I loved how much my heart ached for Emily even though she does some terrible things. I felt like I connected to the story in a very real way. While obviously not condoning her actions, I could understand the pain that Emily goes through as the truth that comes out about her family makes her question her own identity, makes her question her memories and her childhood and her sense of belonging. I found Emily's psychological journey to be especially fascinating as Emily takes things to a very dark place in her attempts at stalking and revenge. Tanya Byrne tells this story in such a way that we know from the outset that Emily has committed a crime and is telling her story from a young offender's institute. But we don't know for sure until those final heart-stopping pages, which by that time my heart had really gone through the wringer! I cannot wait to find out what's next from Tanya Byrne! 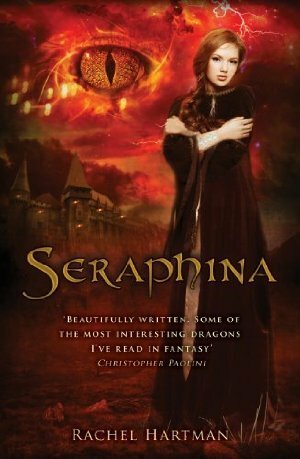 I really, really loved Seraphina! In fact, I loved it so much that I actually get excited just knowing that other people are reading this book too, it gives me a little thrill. Mostly because I know they'll soon by falling hard, just like I did. I'm not the biggest fantasy fan in the world, but I do enjoy it on occasion. And especially when a book is as lovely as Seraphina. There's such a great combination here of dragons and political intrigue, and love, with a wonderful cast of characters and a great world to dive into. That combination of all these things and the addition of a weird mental garden of strange creatures and a lot of music makes this book one of the easiest books to be included on this year's list of top books for 2012. I loved it so much. There's still times when I think of very specific scenes that moved me more than others. It usually involved Seraphina being accepted for who she is or her making some emotional connection with another character in a way that is very sweet or unexpected. And I think 'unexpected' is a great way to describe this book. I found myself really surprised at the strength of my love for Seraphina! Oh man. 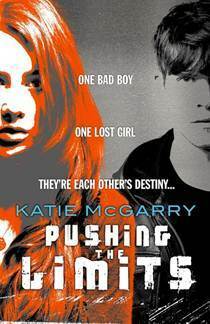 I loved Pushing the Limits by Katie McGarry so much! I loved how both Echo and Noah are both dealing with difficult things. I love the aspect of memory loss and trauma (is that weird to say?) and I especially loved the intensity of Echo and Noah's relationship. This book felt really raw and emotional and honest and I loved every page of it. I'm absolutely dying to read more from Katie McGarry and I'm really excited to read a book from Beth's point of view soon. Aww, this book. 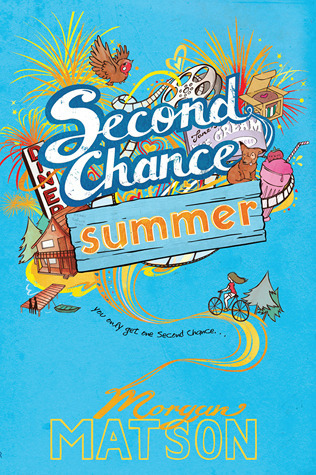 Initially, I was thinking that Second Chance Summer would be this cute, sweet, light-hearted read about a girl finding love and friendship over the course of one summer. And it is that book, but it's also so much more. It's very emotional and I ended up silently crying my way through the last 1/3 of the book. I loved how much this book is about love and friendship but also about family. I think I'll always be more than a little bit excited for another Morgan Matson book, as I've loved the two books she's written so very much! 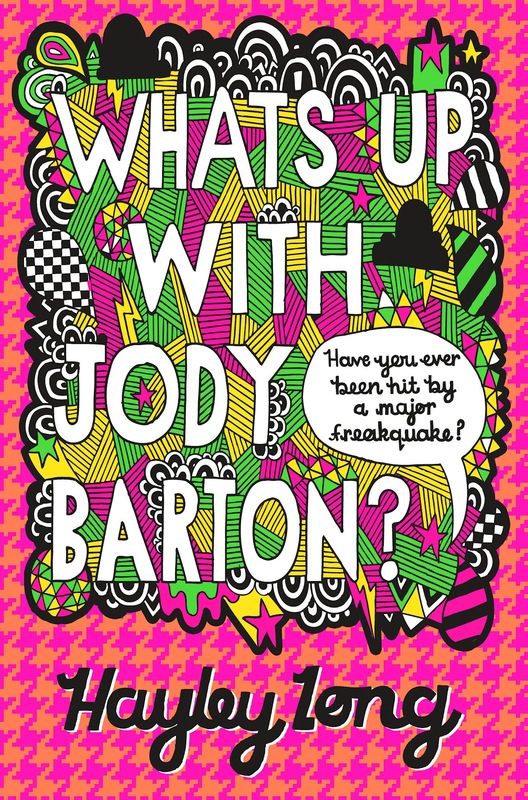 I read several books this year that had surprising and exciting SECRETS within the stories, and What's Up With Jody Barton? is one of them. I read this book thinking that this book would be one thing and then BAM! The plot twist happens and the book morphs into an entirely different thing instead. And in doing so, this became one of my favourites all year. I love the way in which Hayley Long has written such an engaging and thought-provoking read which is also really funny and entertaining. This book struck such a nice balance between serious things and also humour. I love the illustrations that go along with the text, I love Jody as a character and also Jody's family. I really do love Zoe Marriott's books. Shadows on the Moon was amongst my favourite books of last year and I didn't expect for her to rival that book so quickly. 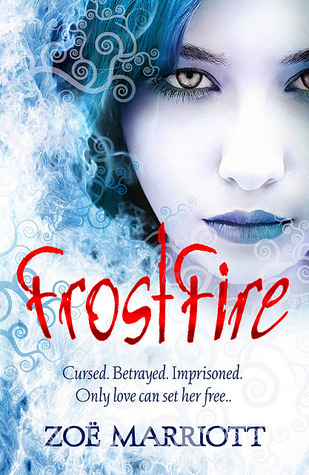 But I really loved FrostFire. I really enjoyed this fantasy world that she has created, but more than anything else, I love the characters. Right from the beginning, my heart went out to Frost. There's something very vulnerable and endearing about her, maybe especially because of the way in which she has been treated because of her so-called wolfb demon possession. I loved her right from the very first page and I wanted her to end up happy. And as the story progresses, and she meets the two amazing friends, Luca and Arian, I found myself even more emotionally invested in this story. I couldn't love these three characters any more than I do. I'm kicking myself that I still haven't read the first book in this series about Ruan, Daughter of the Flame, but I assure you that it won't be too long before I do. 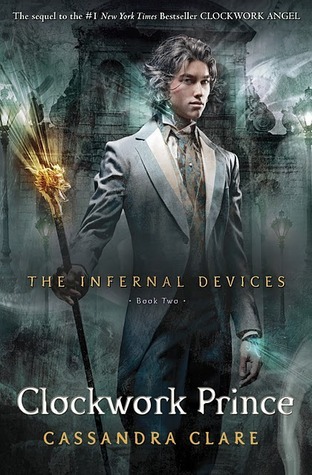 I don't mind admitting this here and now: I love The Infernal Devices series more than I loved The Mortal Instruments! I didn't expect that to be the case, as books set in historical time periods like the Victorian era are not usually my favourite. But there's just something so wonderful about the characters in this series of books that makes me utterly addicted to these books. I love the characters of Tessa and Will and Jem so much and especially the ways in which they interact with each other. It tears at my heartstrings something terrible. I love the three of them and I'm dying for the perfect ending that will allow them all to be happy. I need that in my life. And I need Clockwork Princess immediately. Ahhh! There aren't enough good words available to describe how much I love the Soul Screamers series! It's all just so very exciting and surprising. And I love the characters so much. Even the ones that I absolutely hated at first, like Sabine and Kaylee's cousin. I love how much each character has changed and developed, especially Kaylee. But also Nash and Tod. When I first started this series, I liked it okay but I felt like there was this strong chance that the books could become a bit predictable and formulaic. I love how Rachel Vincent is still able to surprise me and make me gasp. I read these books now and I just don't know what could possibly happen next. I'm waiting on the edge of my seat for the final book in the series. I think it'll be amazing. I'm going to stop that list there for a moment. The above ten books were all published within 2012 and read this year. Please don't even get me started on all of the books that I had to cut off of my list in order to narrow it down to ten. They were many and it still pains me that I couldn't make this list a top twenty at least. But those are the rules. However, the three following books I read this year but the books themselves won't be published until 2013. Even so, they deserve their places on my list of favourite books this year. These three books are incredible and I sure hope you look out for them when they do become available! I was lucky enough to read this book on NetGalley, but it will be published by Bloomsbury in February. I really loved Megan Miranda's debut book, Fracture, and I was very excited to read this book. One thing that I noticed about both Fracture and Hysteria are the amazing friendships between character. With Fracture it was Decker and Delaney that stole my heart, and with Hysteria, I desperately, desperately wanted to have a best friend like Mallory and Colleen! But friendships aside, this is a wonderful book. I really love books that delve into psychological domains, and in this, Mallory begins to feel haunted by the presence of her boyfriend after she kills him one night. I was left on the edge of my seat throughout this book, it was exciting and fast-paced and I was emotionally invested in the book throughout. Another excellent book by Megan Miranda. Oh, Pantomime. Hard for me to put into words how much I LOOVED this book and talk about it without spoiling this huge and important SECRET that this book contains. But honestly? This book swept me away right from the start. This fantasy world is brilliantly created and Pantomime holds some of my favourite characters from any book that I've read all year. Gene and Micah stole my heart utterly and completely! I love the setting so entirely. A circus! With circus freaks and aerialists and clowns. I love that everyone is a bit weird, but Micah and everyone else has found a place to belong and where they can mostly be themselves. I absolutely flew through the pages of Pantomime, desperately clinging on to any new detail about circus life or about the characters. I feel like if I could, I would want to live in this world of magic that Laura Lam has created here. I urge you all to look out for this book when it is officially published by Strange Chemistry in February! It is magical and exciting and absolutely fascinating! This book is being published by Simon and Schuster in February of 2013, and you really must read it when it becomes available! It's such a fantastic and complex story of family and first love. In particular, the relationship between brother and sister made me cry like a little baby as I was reading this book. But everything about Infinite Sky is beautiful - from the cover, the style of writing, the atmosphere of this book, the relationships between the characters. All of it, beautiful. I can't recommend this book enough! What have been your favourite books that you've read in 2012? Yessss, Second Chance Summer was AMAZING. I wasn't expecting to cry so much. 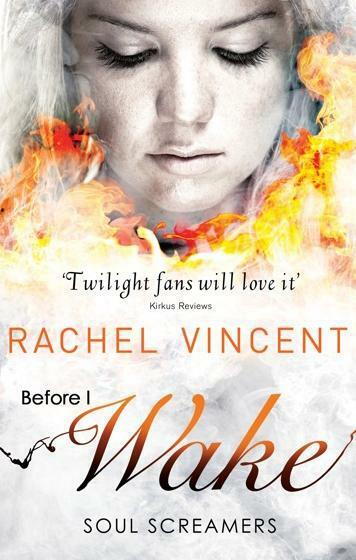 I also loved Before I Wake, the Soul Screamers series is one of my favourites! I'm dying to read Seraphina, oh my gosh. I am DYING for the last Soul Screamers book. Dying. Kirsty Eagar is my absolute fave! I'm excited to read Infinite Sky :) Great list! Thank you Trinity :) I'm very keen to read more by Kirsty Eagar after the amazing Raw Blue! 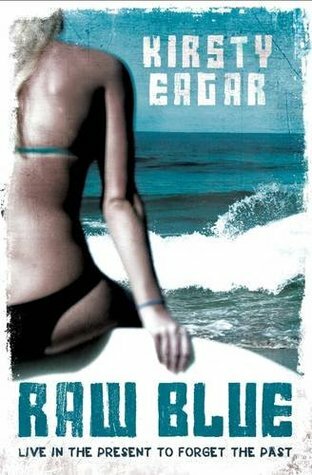 I still really want to read Raw Blue. I just need to order it. Everyone raves about it so I know I'll love it. Great choices! I sobbed for hours when I read TFIOS, too. Clockwork Prince was great and Clockwork Princess can't come soon enough! I can't wait for Hysteria to come out. It sounds so good! 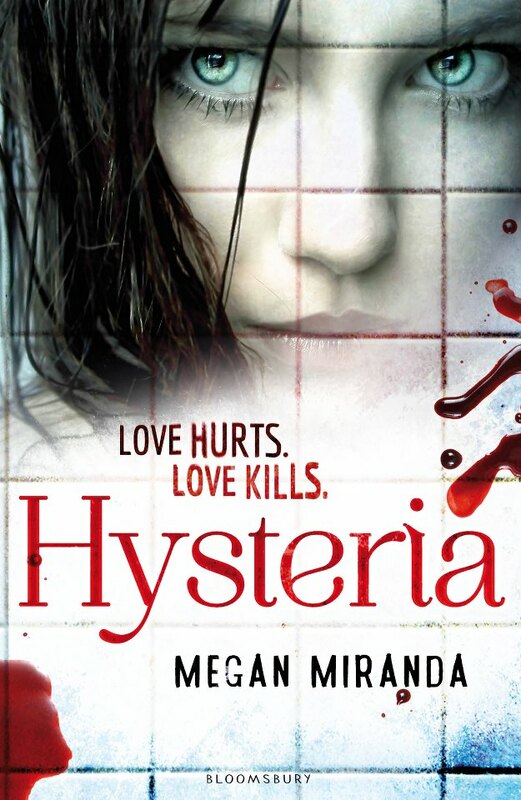 Hysteria is very good, I hope you enjoy it as well! 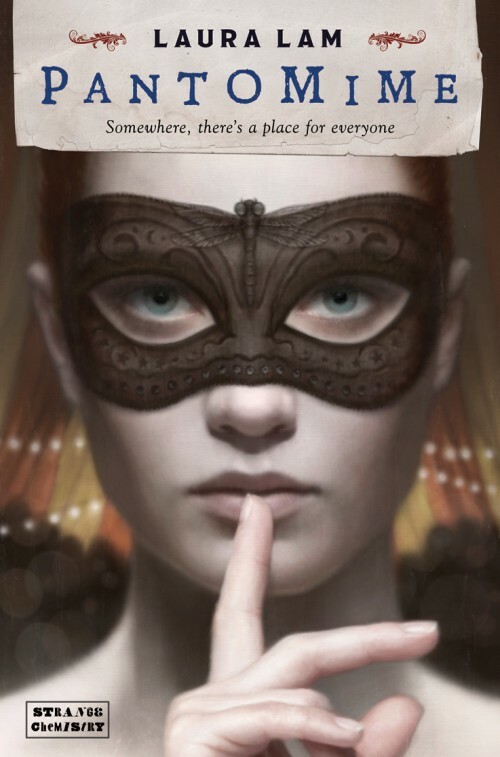 And yes, get here quicker Clockwork Princess..! Thank you for reminding me about Heart-shaped Bruise - I remember wanting to read it when it first came out, but somehow it slipped off my radar. 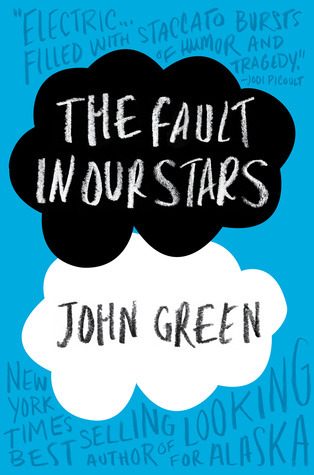 I'm reading TFIOS at the moment and love it so far - I agree with So Many Books, So Little Time about books that make you cry! Also loved Pantomime - it was top of my list this year. I did really love Noah :) I hope you love the other books as much as I did when you get around to reading them! Great list, Clover - thanks! You're very welcome Beth :) I hope you love Pantomime and Hysteria! I loved Clockwork Prince, but I ran out of room on my list to include it! TFiOS and Second Chance Summer were immediate shoo-ins on my list, as was Pushing the Limits. Great list! I only read Clockwork Angel this year and quickly followed it up with Clockwork Prince, so it's still pretty fresh in my mind! A few of those will be appearing on my list in a day or two!